Tom and Anna Moore Family — Our family consisted of three children, Carol who graduated in 1964, Jo Ann (me) graduated in 1965 and our younger sister, Betty who graduated in I believe 1972. Our family lived in Goshen three different times. The first time was in the early 1950′s where we lived in back the lane with the Davis family, and the Ebert family to name a few. I’m not sure the lane had a name. 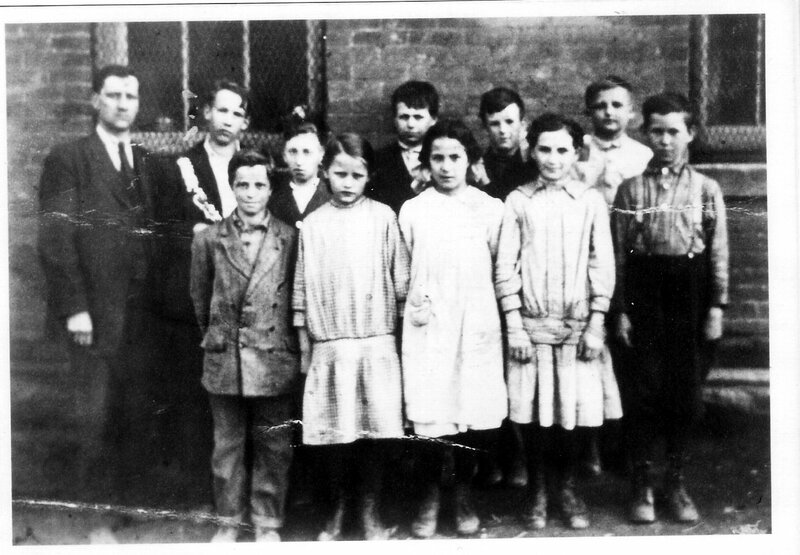 The second time we lived in Goshen was on Goshen Hill next door to the Paul Maurer family. The third time we lived in Goshen we lived down the street from what was Ann’s Tavern. On this street also was the Lindsey family, the Anderson family, Reynolds, the Hobart family (Jack and Jim) and the owners of the Hucks Gas Station on the corner. My Dad worked at Goshen Sewer Pipe for many years and did some of my uncles. I can still remember the glow of the kilns when they were burning. Oh the memories of living in Goshen where friends could easily go out to play and be gone for hours and parents didn’t have to worry like they do today. Life was fun, simple and when I look back those years were the best. 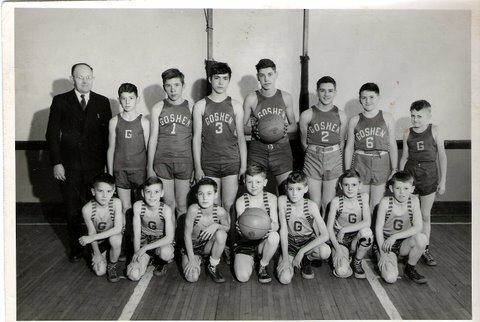 Goshen School and the teachers we had were expected to do so much for the kids. 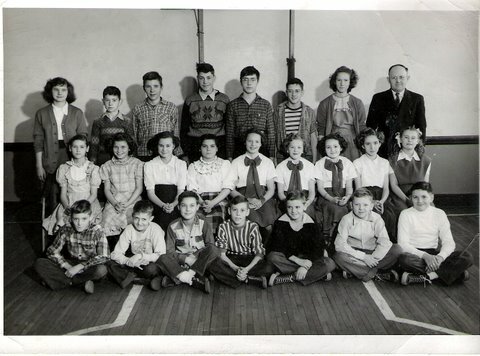 Not only did Mrs. Larkin teach 1st, 2nd and 3rd grade all in one room, rotating from one class to another, she played on the playground during lunch time. She has been a person that I have admired all of my life. There were times we would walk from Goshen School down to Hucks store to buy pencils for school. Can you imagine being allowed to leave the school grounds to go to the store?